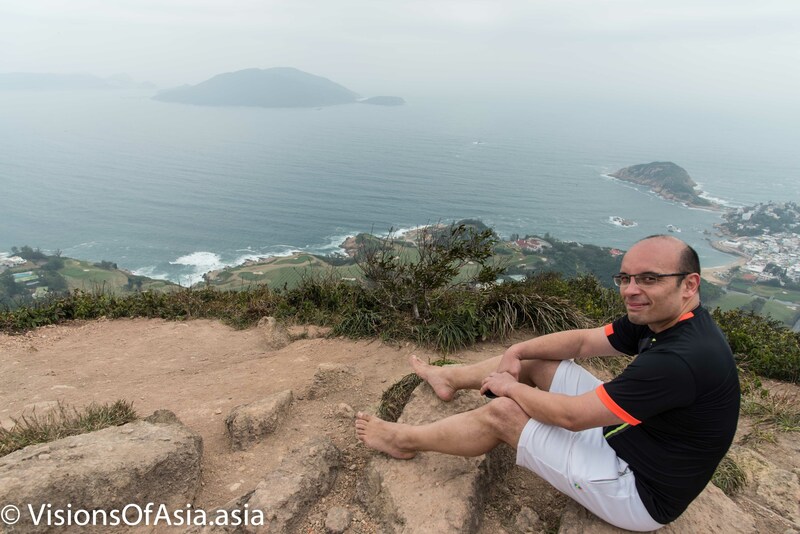 On this extended week-end of Chinese New Year in Hong Kong, it was exciting to go for a hike. The easiest option available was, obviously, to go for another barefoot hike on the Dragon’s Back. 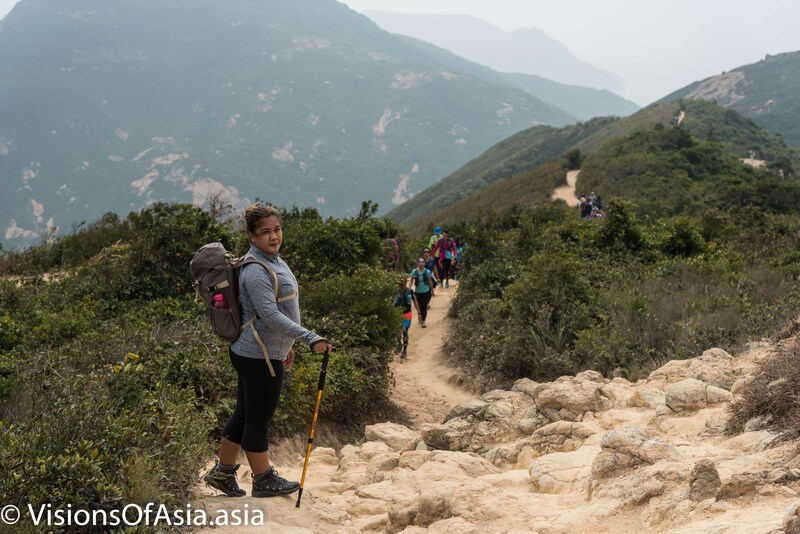 On week-ends, habitually, the hike is pretty crowded, but on Chinese New Year, it became worse. 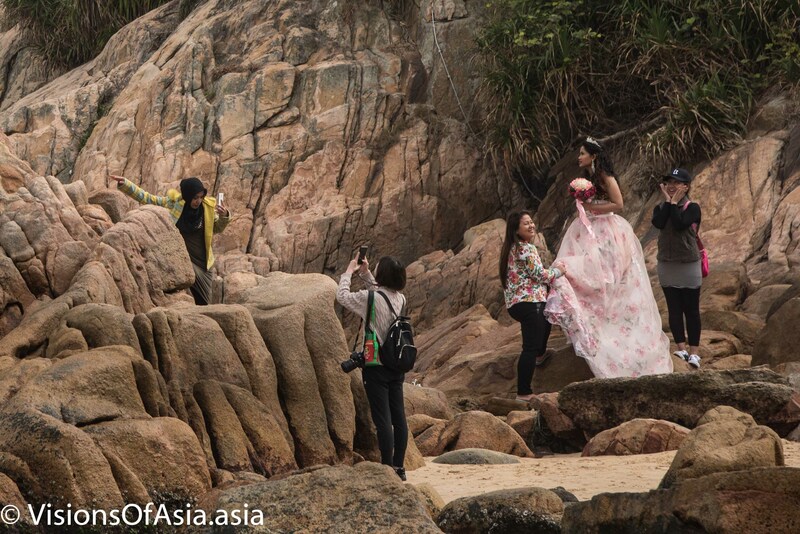 Indeed, between mainland Chinese, expats and a throng of Filipina maids, the hike became quite busy. However, as we started earlier, it was a bit less crowded at the start in the forest. You can see the terrain is pretty flat, with just some roots to watch for and the odd pebble. Walking through the first part of the hike, which is a forested flat hike. Once on the Dragon’s back, it was just the habitual ups and downs on the ridge… I decided not to fly the drone because of the high wind speed in altitude. In addition, the slight haze visible did make it less interesting to take pics (I had better pictures with better lighting and atmospheric conditions from previous visits). My wife took her turn photographing this time, and I played model. Past the first leg of the Dragon’s back. My wife, this being said, wore her hiking boots. She gave me, also the occasion of shooting some pics of her along the trail. 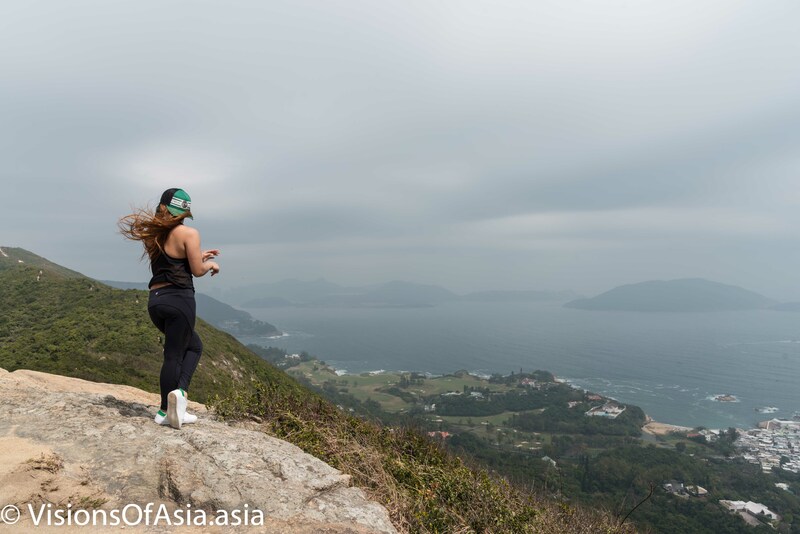 Reaching the end of the trail, this time, we pushed further to what might be deemed the “head” of the Dragon’s back: a cliff dominating the village of Shek O. While situated beyond a warning panel, the views on this cliff are quite gorgeous and deserve a visit. However, the crowd present on the Dragon’s Back kept taking risks. The interesting of this last part of the hike from a barefoot hiking point of view, is that the granite of the cliff is a perfect terrain for walking barefoot. Where I used to find the terrain particularly slippery with hiking boots (the sand is rather treacherous!) or even trail running shoes, here, the rock was just perfectly adhesive with my bare feet. So, while this picture (courtesy of my wife!) may appear risky, it is well below any real risk-taking as there is a further ledge on the other side of the cliff, and there was no risk of slipping. The big issue is when people try taking selfies and don’t appreciate the distances behind them. 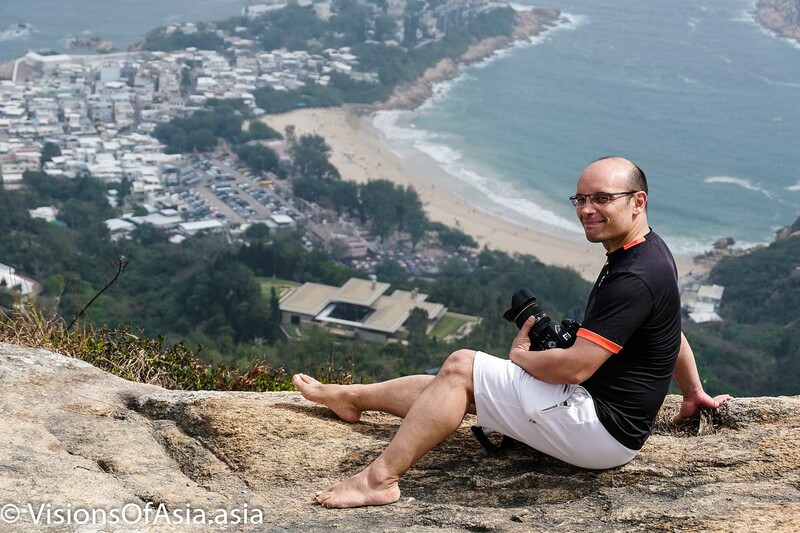 The final goal, after coming down from the Dragon’s back, was to go to Shek O village. We did arrive there, had lunch, and then headed to the beach. With the strong winds the waves were quite powerful, and nobody was swimming. It was a perfect occasion to use the drone and shoot some spectacular scenes over the water. 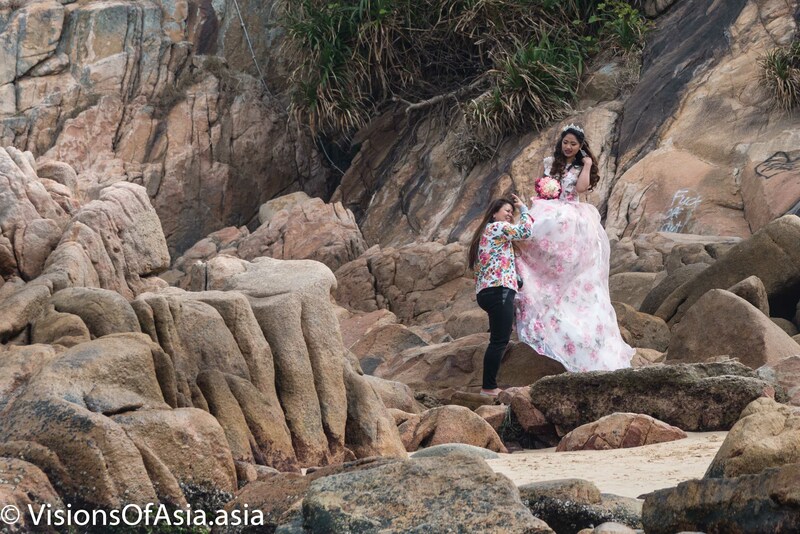 The interesting part was that some Filipina or Indonesian was having her prenuptial pictorials on the beach. I pirated some pics. Sometimes, some pics can be just as telling or as funny as you can imagine. Composition-wise, it was also interesting. I previously explained this point in a previous post. Please consult it for information. 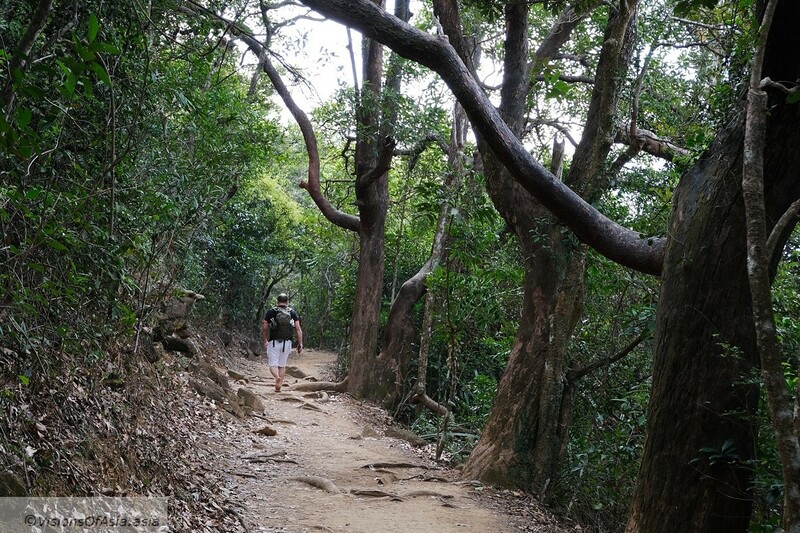 Once you complete the Dragon’s back trail, you can catch the bus n° 9, heading to Shek O. Be warned though, on crowded periods, the village and the beach can be quite busy… and the bus waiting queue can reach epic sizes.